The issue of getting finances for the small businesses and entrepreneurs is always been in debate and remain unresolved in the developing countries due to unavailability of qualified venture capitalists. The developing and emerging economies set the micro finance banks for this purpose, however, it is argued that the owner and entrepreneur faces many problems like collaterals, documentation, etc. This research focuses on the role of financial banks in promoting the small business and entrepreneurial culture in the Saudi Arabia in providing credit. The research applied a mixed methodology and at the first stage, qualitative data is collected and then the results of these structured interviews were used to construct a survey questionnaire for the quantitative analysis. The result of study shows that the levels of business cooperation and information sharing and quality of business have an important significance on the success of loan application. Furthermore, the results also support that the bureaucracy of bank in terms of loan documents requirement and loan evaluation procedure can make small business hesitate when applying for loans. Muhammad Moinuddin Qazi Abro. "Venture capital for Entrepreneurs: Case study of Kingdom of Saudi Arabia." 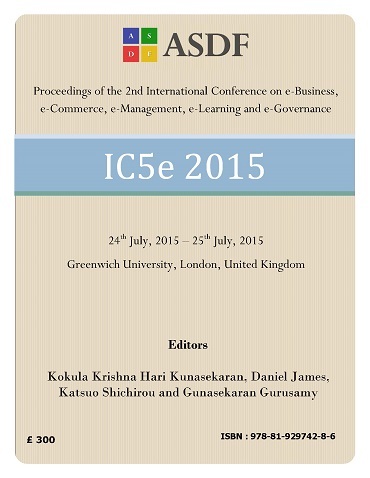 International Conference on eBusiness, eCommerce, eManagement, eLearning and eGovernance (2015): 50-57. Print.